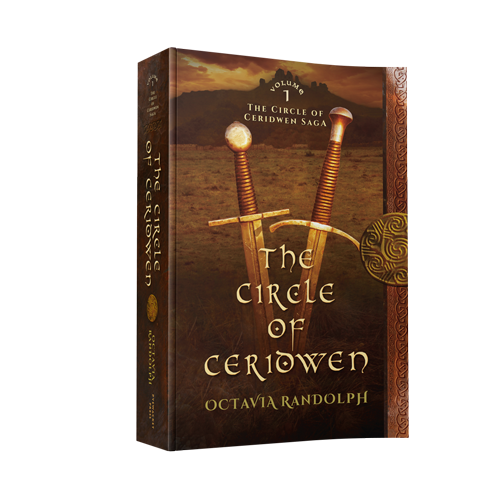 Today I’m delighted to welcome Octavia Randolph—the author of The Circle of Ceridwen Saga, now six bestselling volumes and counting—who in her guest post discusses the role of the Scandinavians in what is now the United Kingdom (and the fight against them) while exploring the deeper relevance of historical fiction as a whole. Take it away, Octavia! And don’t forget to read down to the end of the page, where I tell you how to find out more about Octavia and her books. The title above is a mildly provocative statement. But those amongst us who enjoy reading (and writing) historical fiction believe that good examples of the genre do far more than entertain. Well-written historical fiction can hand us a telescope to peer back into our own or another culture’s past. In a day when world history is given short shrift by many school systems, reading Dumas’ The Three Musketeers may be the only way to glimpse the dizzying complexity of seventeenth-century French political and social intrigue. 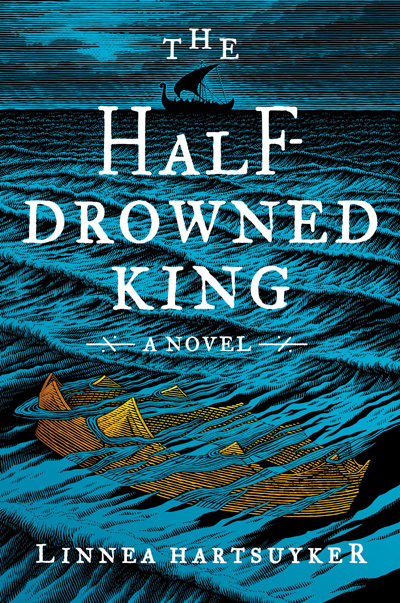 Carefully researched historical fiction can educate and, even more excitingly, provoke speculation through original conclusions to historical puzzles. 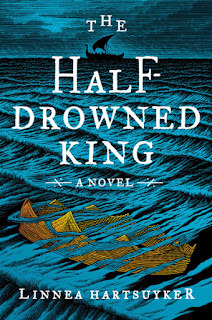 In Mary Renault’s brilliant The King Must Die and Bull from the Sea, she takes the classical hero Theseus and presents a wholly believable character whose strengths and flaws allow us to understand and even anticipate the heretofore inexplicable aspects of his behavior. His abandonment of the princess Ariadne on the island of Naxos is transformed from the disgraceful act of an ingrate (she has after all, helped him to triumph over the minotaur—in Renault’s book, a man, not man/beast) to an utterly correct and necessary action allowing both Theseus and Ariadne to come to their fullest potential. 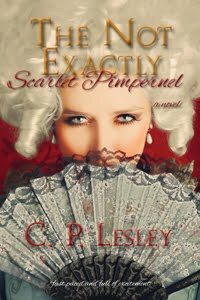 Another way we know historical fiction is important is the firestorm of controversy it sometimes elicits. Isn’t there something remarkable about the fact that seventy years after it was written Margaret Mitchell’s Gone with the Wind was still powerful enough to provoke a response such as Alice Randall’s The Wind Done Gone? Described by its author as an “antidote,” The Wind Done Gone is a retelling of Mitchell’s story, using many of the same characters—Art imitating Art. My own fiction deals with a time seemingly far removed from our own. Late ninth-century Britain was largely composed of competing Anglo-Saxon kingdoms—people who knew Christianity, enjoyed good ale, composed epic poetry, and forged wondrous weapons and jewelry. Suddenly, and with increasing frequency, marauding heathen seafarers from first Norway and then Denmark began decades of terrifyingly violent predation upon the mostly agrarian Anglo-Saxons. Most of the predation was carried out by a people the Anglo-Saxons called Danes—they were in fact from the same areas of modern Northern Germany and Denmark that the Angles and Saxons had come from a few hundred years earlier. That is very meaningful to me as a novelist, that connection; and the ability to see in repeating cycles of invasion a mirrored view of one’s own history. The Vikings originally wanted treasure, but later they also wanted something more precious—land. They wished to settle and live in the Anglo-Saxon kingdoms they had toppled. Decades of warfare, appeasement, negotiation, and intermarriage of Saxons and Danes ensued. A new nation was slowly being forged—a process that, as we know from world history, is rarely comfortable for its participants. The examination of conflicting values, divided loyalties, and the thrust of opposing religious beliefs and practices are timeless and universal human themes and make a rich ground for the novelist’s imagination. Original source material augments and fires that imagination. The primary document of the period is an invaluable record known as the Anglo-Saxon Chronicle, which was begun in King Alfred’s (849–899) time and documents the known history of the nation year by year from the year one. It was continued right up to the twelfth century. We have in a precious single manuscript the saga Beowulf, which tells us much of Anglo-Saxon mores, warrior life, the roles of women, and much more. We have physical evidence—artifacts such as the magnificent Sutton Hoo Treasure, the burial goods of King Redwald, who died about 625. We have other grave finds from many Anglo-Saxon burial grounds and occasional finds such as weapons retrieved from rivers and bogs. I’m also a great believer in looking at the artifacts and landscapes of the era whenever possible. Studying one beautiful brooch or fragment of embroidery or a pattern-welded sword or a cluster of clay loom weights in person conveys information and spurs the imagination in a way that no amount of looking at photos can. And this is where, in the combination of reading and looking, you can make the informed imagining that is perhaps not documented but is more than likely. For instance, we know that in both pagan, that is earlier, Anglo-Saxon society and Viking society, the tribal leader—who was always a war chief—also served as a religious medium between his people and the gods, served as a priest in ceremonies and sacrifices. Sometimes sacrifices to ensure good harvest or success in battle would entail the sacrifice of animals and possibly even humans. That’s what we know. What we can see are finds of spear points, seaxes, swords, helmets, and other war gear—all tremendously valuable, precious even—which have been purposely bent or broken or otherwise rendered unusable, then deposited either into rivers or in shallow pits dug in bogs. This is where the informed imagining comes into play: these may be weapons that were sacrificed as thank-offerings for victory or weapons that have been “punished” for failing their owners. In historical fiction we have the luxury of drawing these sorts of conclusions, which is one of the reasons I prefer writing fiction to writing history. 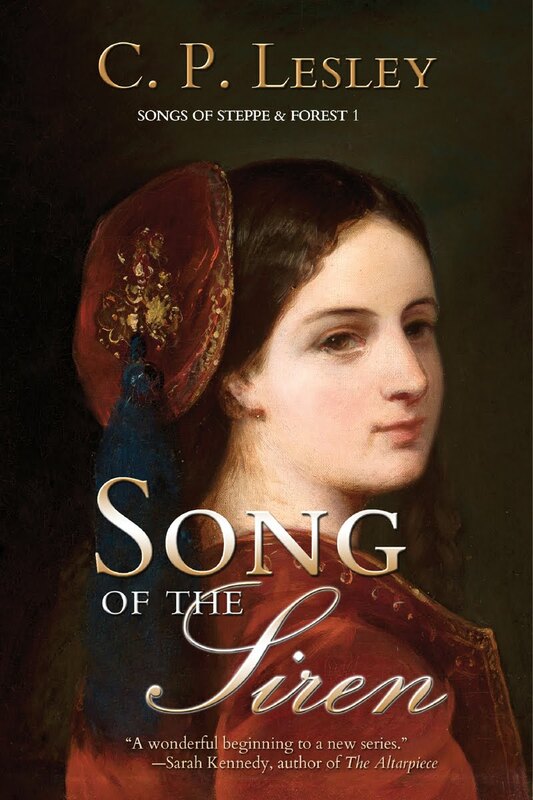 This brings me to the unasked question: why do we write historical fiction? I mean, it’s set in history; we know how it turned out! 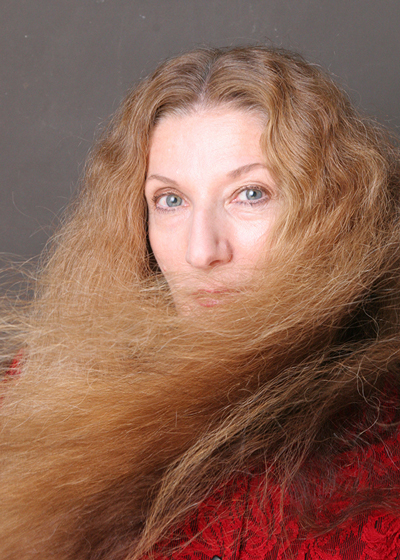 The task is to show the utter inevitability of what happened, as in the books of Mary Renault, or how it almost did not happen or that it actually happened differently and the story has been altered either deliberately or through accretion over the years, such as Donna Cross’s Pope Joan, about a ninth-century female pope. History, as has been famously noted, is written by the victors. And in the form of historical fiction, which is sometimes referred to as “mirror history,” it can show an alternate history—as in a book built on the premise of what if Napoleon hadn’t lost at Waterloo. 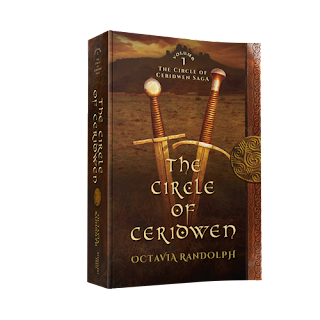 But the real point is that even if you are writing about a time period or actor very well known, there is always deeper questions to be answered: the “understory.” The understory in The Circle of Ceridwen is: Who is My Enemy? For more about the understory, see my “The Story within the Story.” And don’t forget to check out Octavia and her books at www.octavia.net. Many thanks, Octavia, for this fascinating discussion! I rarely have two author interviews back to back—in fact, I can’t think of another time in the five years that I’ve maintained this blog—but it just so happened that I read both The Dress in the Window and Give in to the Feeling within a few days of each other. And I had a chance to interview both authors, so I saw no reason to make either of them wait. Sarah Zama is just beginning as a published writer; she is currently working on a trilogy about the characters whom she introduces in Give in to the Feeling, a novella set in 1920s Chicago. So this book is also one of my Hidden Gems—short but sweet, in this case, and a great way to become acquainted with Sarah’s writing. Moreover, it too offers an inspiring story. You can find out more about Sarah and her books at her website, http://theoldshelter.com. What drew you to this story, which you describe as fantasy dieselpunk? For starters, what is fantasy dieselpunk? I’m not surprised that you’re asking. Many readers (and authors) are unaware of this genre. The easiest way to describe dieselpunk is: it’s like steampunk set in a more recent era, spanning from the late 1910s to the early 1950s. You have the aesthetics and the history of those decades, but with a twist (history gets punked, as we say) so that these stories are not really historicals even when (as in my case) they are very close to history. Dieselpunk is such a young genre (the word itself was coined only in the 1990s) that not even us dieselpunks agree on what it is exactly. Many dieselpunks think that only Retrofuturism falls into the genre; we speak about stories that have a strong SF element to it (think The Rocketeer or Captain America: The First Avenger, to name a couple of films people might have seen). But some of us consider fantasy elements to be just as good for a dieselpunk story (think Indiana Jones). I’ve always been drawn to stories with a twist, stories that have a fantasy element in them. I’ve always been drawn to fantasy, actually. I was a Tolkien fan long before Peter Jackson’s film trilogy, and I’ve been a R. E. Howard fan even longer. But I’ve always loved early twentieth-century history too, especially the Deco years, so it was probably in the logic of things that I would end up mixing these two passions of mine. I honestly discovered the 1920s by chance, but I’ve completely fallen in love with this era, because it has so many similarities with our own time. You are preparing a trilogy that explores some of the same themes in this novella—and indeed, I often wanted to know more about the characters’ pasts. Which came first: the trilogy or the novella? But more generally, what draws you to the world of ghosts and spirits? The genesis of these stories is quite funny. I started out wanting to write a series of novellas or short stories bound by a recurring cast of characters. I wanted to set it in the 1930s, but at the time I knew nothing—and I mean absolutely nothing—about that time. So I started planning the series, and at the same time I researched that period. After a year of research, I shifted from the 1930s to the 1920s for a question of accuracy (couldn’t set a few ideas in the 1930s and still be accurate). I also had written zero words of the actual story. So I decided I needed to test my characters and my ideas, since I felt insecure that I could actually handle the time period. I wrote Give in to the Feeling as a character study, and it was such fun! I was already in love with these characters, but writing them made me love them even more. So after that I wanted to test the setting a bit more. I outlined a trilogy of novellas which were still set earlier than the original idea, and I enrolled in National Novel Writing Month, which is a yearly challenge to write a novel of at least 50,000 words in the month of November. 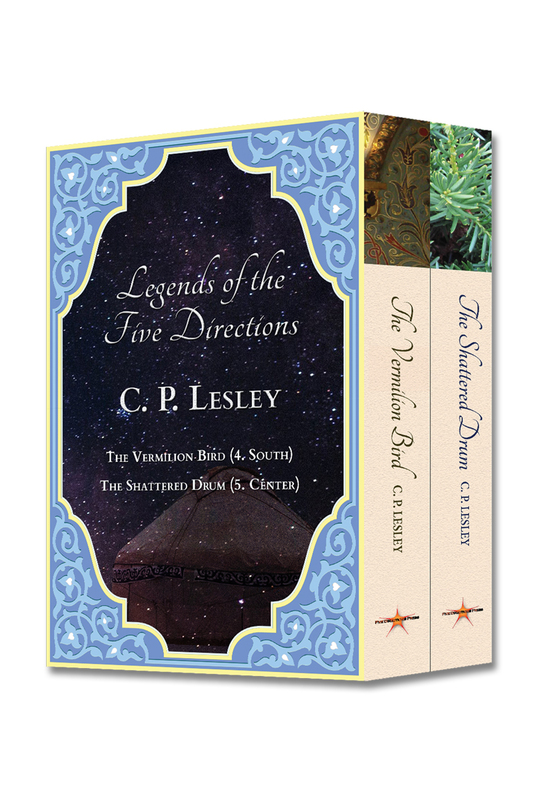 My plan was to write a detailed synopsis of the entire trilogy of novellas, which I estimated would take some 15,000–20,000 words total, and then write whatever I could of the actual novellas to reach the 50,000 words of the challenge. Well, it didn’t exactly work like that. The synopsis of Ghostly Smell Around, the first installment, ended up at 22,000 words. I completed NaNo halfway through the second installment, and at that point I understood my story had plans very different from mine about how it wanted to be told. I completed the first draft of the trilogy in a couple of years. I revised it completely in a few more. Then I concentrated on the first novel. 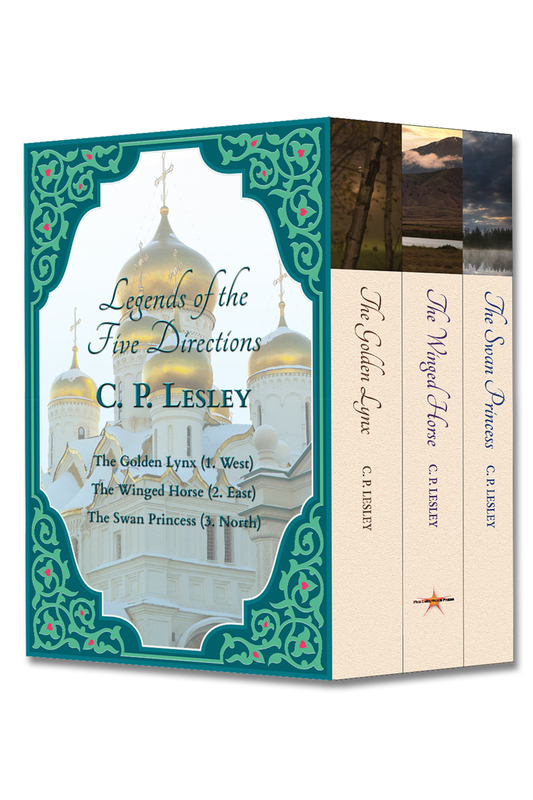 My plan was (and still is) to try to publish the trilogy traditionally, but I also wanted to try self publishing. So a couple of years ago I went back to Give in to the Feeling, rewrote it completely (because, as you may imagine, I had learned lots of things about these characters in the four years I had spent with them) and published it as an indie novella. It was a fantastic adventure. Why the world of spirits? I’ve always been fascinated with spirituality, with ghosts, with the possibility that there might be more than the physical world around us. Maybe because we live in such a materialistic world, I like to explore the possibility that there might be more, a place where what we are (our true soul) is more important of what we have. Tell us about Susie, the main character. How did she end up in a Chicago speakeasy? In a very odd way, I’d say. She’s a Chinese girl and she was sent out to be a mail-order wife, which was quite a common practice in immigrant communities in the first part of the twentieth century. But when she lands in San Francisco, she discovers that her prospective husband has died in the meanwhile and she is taken up by his young associate, which leads Susie to Chicago and sends her life in a much different direction. Simon is an ambitious man who wants to have a rich life. In Prohibition-era America he thinks bootlegging is a viable way to achieve his dream. The first time I wrote Give in to the Feeling it was really mostly a character study, but the second time I wrote it I wanted it to be Susie’s story. I wanted to see her evolve and become her own woman, as she had the opportunity to be. The 1920s were an exciting time to be a woman, though not in the way most people think. We often see the 1920s as a liberating time, which it was—to an extent. Flappers did break free from lots of the old bonds, but we should remember that many bonds still stood. We should also remember that most women weren’t flappers in the 1920s. Only young university girls, with money and time on their hands, could afford to be flappers. In spite of this, I do think that most women, especially young ones, aspired to be flappers or at least to be as free as the flappers showed they could be. This is where the importance of the “flapper movement” (as it is sometimes termed) really lies: not in the achievements, which were limited in time and in some respect in magnitude, but in the breaking through. Its power came from showing a different way, not just to women but to men as well. To some extent Susie walks the same path, passing through the “freedom” and excitement to show herself the way she wants, and coming in the end to a more profound understanding of what freedom truly is. And what of Simon? How does he fit into Susie’s life? Well, if I had to name the character that most evolved from the first version of the story to the published one, it would be Simon. In the first version, he was just the antagonist, but as I revised the novella for publication, I started wondering what drove him. From the beginning I didn’t want him to be a mere villain, but his reasons and his acting certainly became more nuanced and prominent as the story evolved. I suppose Simon incarnates the danger of ambition not culled by ethics. There’s nothing wrong with what Simon wants, in my opinion, it’s what he’s willing to leave behind to achieve it that is problematic. Simon is the only character that doesn’t appear in the other stories of this series, and I had a great time exploring him. Trouble starts when two brothers, Michael and Blood, walk into the bar. Susie and Blood are instantly drawn to each other. What can you tell us about the brothers? I truly truly love these guys. Readers tell me it’s apparent, but I can’t do anything about it. Blood and Michael were the original idea, the reason why this series of stories exists. In fact, when I originally wrote Give in to the Feeling, I had a hard time keeping it as Susie’s story, because Michael and Blood kept trying to steal the stage. I consider Ghost Trilogy as Michael’s story, so yes, there is a lot more to learn about him and Blood, their relationship and what caused Michael to flee the reservation. Deciding what to let filter into the novella and what to leave untold was like going through hell! Michael and Blood are Lakota Ogalala. I’ve always been interested in the Native American cultures and spirituality, and this interest has deepened in the last decade. Still, I was very hesitant to handle Lakota characters because I had no direct contact with that culture (I was less hesitant with Susie because I have friends who are Chinese). I researched the hell out of it, but still I think this would have been a very different story and they would have certainly be very different characters if I hadn’t met someone who today is a dear friend on an online workshop for writers. She’s Mohawk, actually, not Lakota, but she helped me get into Native American feelings and thinking in a way I could have never achieved on my own. I know it and I need to acknowledge it. And she’s a writer herself (she writes under the name Melinda Kelly), so meeting her was really the very best thing that could happen to me and my story! The relationship between tradition and modernity and the survival of traditional practices and beliefs in the modern times is something very close to my heart. Native Americans stand in a peculiar position in this regard, and this may be what inspired me to have Lakota characters in my story. Most of my characters are liminal. They stand in the face of a new world (of change) but hesitate to step into it for fear of what that world may take from them. There’s Susie, who’s a Chinese in America; Sinéad, who’s an Irish immigrant; Angelo, who’s a third-generation Italian-American; and a lot of African American characters who live in the time of the Harlem Renaissance. But none of them express that hesitation in front of change and the urge to find a way to cope better than Blood and Michael, in my opinion. When can we expect to see more of Susie’s story? Ghostly Smell Around, the first novel in the trilogy, is at the polishing stage, basically ready to go. I’m trying to get it published traditionally, but we know how these things go, so I may end up self-publishing it. Let’s see what happens. The rest of the trilogy is written, although it stands at a second draft stage. As I mentioned, Ghost Trilogy is more of Michael’s story, but Susie is important to it. In the trilogy, she’s a very strong character (Michael considers her to be bossy), who has found her balance in her relationship with Blood and is happy to be part of the Red Willow family. And after going though her own ordeal, in the trilogy Susie is a character who always strives to help others find their way in life and be happy. Sarah, thank you so much for sharing your answers with me and my readers. Can’t wait for your Ghost Trilogy to appear! A bookseller in Verona (Italy), Sarah Zama has always lived surrounded by books. 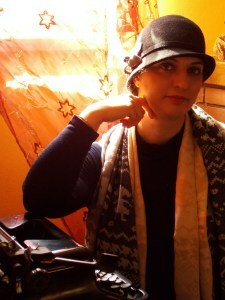 Always a fantasy reader and writer, she’s recently found her home in the dieselpunk community. Her first book, Give in to the Feeling, came out in 2016. As you may have guessed from the post I wrote back in April about blue jeans, fashion is, to borrow a phrase from Sir Percy Blakeney, “not my forte.” So it rather surprised me how much I enjoyed Sofia Grant’s The Dress in the Window, which is, on the surface, all about the new styles in fashion that arrived in the wake of World War II. Of course, like most good novels, The Dress in the Window actually explores much deeper themes than fabrics and styles: the importance of family, the long-term effects of the war, the establishment of identity in a changing world. Sofia Grant joins me today to talk about those elements of the book. You’ll find a link to the book in this paragraph and more information about the author at the end of the interview. You don’t even need makeup to read her answers, let alone fancy clothes—so enjoy! This is your first book published under the name Sofia Grant, but not your first novel. What made you decide you needed a change of name? 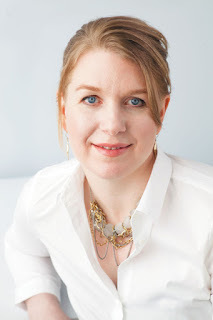 Historical fiction is a departure from the novels I’ve written in the past, and using a new author name is a way to signal to readers—both old and new—that they can expect something different this time around. What made you want to set your story in this particular time and place? As a lifelong hobby seamstress and fashion buff, I can’t imagine a more exciting era in American fashion than after WWII! Women still sewed many of the clothes for their families, which appealed to me, as it gave me an opportunity to write about garment construction. (I know it sounds boring but it really is integral to my plot!) But couture fashion was changing as well, and the wealthy women who were accustomed to buying dresses in exclusive salons had also been affected and changed by the war. At first I thought I would set my book in New York City, which was then the fashion hub of the country. But choosing a location close enough to commute, but far enough away to give me access to the mills and factories where clothing was made, proved far more interesting. Although fashion provides the environment in which the novel takes place, this is really a story of a women-only family: Jeanne, Peggy, Thelma, and Tommie. Each character is beautifully defined and rich. Tell us first about the two sisters, Jeanne and Peggy. How do you see them as characters? How do you think about their relationship? Sister relationships in general are so interesting! I don’t think there’s a more intense emotional bond. Sisters can encourage or provoke each other so easily. Envy and competition are balanced by unbreakable devotion. As Peggy and Jeanne face the challenges of loss, grief, and poverty, I tried to show how they antagonize and support each other. Thelma is the mother in this family, although she is not the actual mother of any of the others. What distinguishes her? I think it’s no accident that Thelma is around my age and—like me—is intensely maternal. Even when she wants to keep these young women at a distance, she is unable to stop herself from coming to love them. She also has an unquenchable drive to not just survive but to drink deeply of life. I hope it’s not immodest of me to say that I modeled that characteristic after myself. Following my own midlife reinvention, I discovered I was not willing to settle for society’s notion of what it means to be a matron. Thelma takes her due, in secret when necessary. I admire that. Tommie, because she is very young at the beginning of the story, necessarily has the least “voice” of the four. Yet she acts as a kind of anchor for the women, or perhaps a source of tension. How do you see her role in the book? I quite agree! Tommie becomes not just the glue holding the three women together but a driver for them all to try to be their best selves. I find that’s true in my life—in times of challenge, my own children have inspired the adults around them to try to pull together for the benefit of everyone. 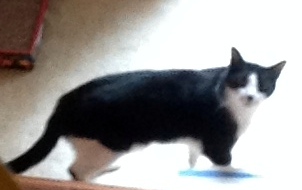 Tommie is also a mirror for Peggy. In her daughter she sees a reflection of both her assets and her shortcomings, as well as an obstacle for her reaching her dreams. It is a singular cruelty of that era that women were expected to subvert their desires in service to domesticity and motherhood. Though Peggy strains against those bonds, she never truly abandons Tommie, and her love is constant. Fabric itself seems at times almost to be an expression of the characters. Each chapter begins with a discussion of a specific fabric that has qualities explored in that chapter. Why did you decide to include that element? Well! I must say that was a bit of an indulgence, and I’ve been nervous about how it might be received. I love fabric, and my education came from my mother and grandmother, who were truly gifted seamstresses. So these passages are an homage to them, a nod to the happy hours I spent learning at their knees. Yet I also know that this will be quite foreign to many readers, and I deliberated quite a bit before including them. They aren’t essential to understanding the story, but I hoped to do several things with these bits of text: both set the emotional tone for what comes after, and add a sensory element as well as a sense of historical accuracy. 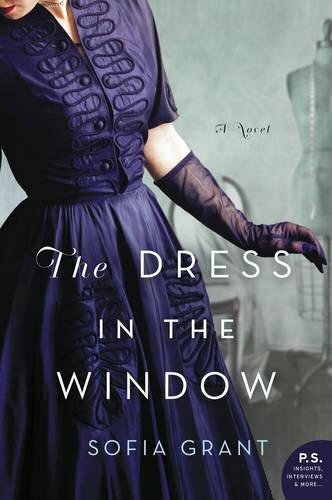 I’ve just turned in my next novel to the same editor who worked on The Dress in the Window. Her name is Lucia Macro, and she’s a true pleasure to work with, as well as very smart about bringing a story to life. The new book, tentatively titled The Daisy Children, explores a real-life tragedy: in 1937, over three hundred Texan schoolchildren were killed in a gas explosion. But I use a contemporary storyline to explore the aftermath of the disaster, and created a cast of characters that I really enjoyed writing. There’s intrigue, passion, greed, vengeance, and even a bit of a love story. Fingers crossed! Thank you so much, Sofia, for taking the time to answer my questions. I wish you all success with this book and the books to come. Readers can find out more about Sofia and her books at http://sofiagrant.com. There you can read, in addition to her official bio pasted in below, a longer piece about her writing career and how she got started. If you’ve ever thought about writing fiction, her story will inspire you. Called a “writing machine” by the New York Times and a “master storyteller” by the Midwest Book Review, Sofia Grant has written dozens of novels for adults and teens under the name Sophie Littlefield. She has won Anthony and RT Book Awards and been shortlisted for Edgar®, Barry, Crimespree, Macavity, and Goodreads Choice Awards. Sofia works from an urban aerie in Oakland, California.